When WB Yeats wrote the famous poem "I will arise and go now and go to Inisfree," he should have gone to Inisbofin. One visit there and he would have been hooked for life. I visited this lovely island recently for the first time and I was blown away by the rugged beauty and exceptional landscape and coastline. The island is home to approximately 160 people and the welcome is extraordinary - the food at the local hotel is amazing and right now the island is busying itself for the season ahead. The reason for the visit was that I received instructions to sell a site with full planning permission for a dormer style residence, a separate site with a derelict house, and a charming three bedroom cottage. What have all these properties got in common? They enjoy the most amazing panoramic vista right on their doorstep (visit my Facebook page: Michelle Burke MIPAV, Auctioneer & Letting Agent, to see a video of the views ). The views are a joy to behold and as well as the sea views and ocean, right in front of all of the properties and sites, the beach is just seconds away. Inisbofin comes alive in the summer with a host of activities offered including deep sea fishing, pony trekking, and riding lessons, and scuba diving to mention but a few, craic galore in the local hostelries — Paul Brady, no less, is playing there on the May bank holiday weekend. 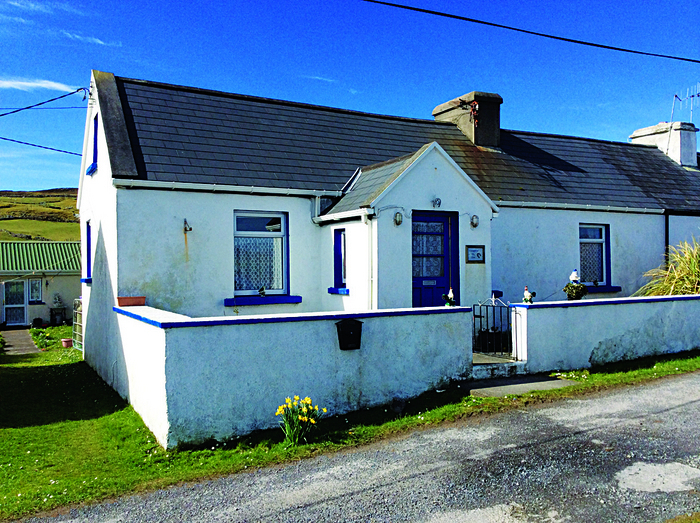 It is rare that an opportunity to purchase property arises on Inisbofin as most are sold without going on the open market. These will be snapped up quickly by individuals who seek a holiday home with a difference. Call Michelle Burke MIPAV, auctioneer and letting agent, on 087 2500716 for further details.